Stevenson, Washington’s signature event returns for its 25th year and we invite you to help us celebrate their silver anniversary. 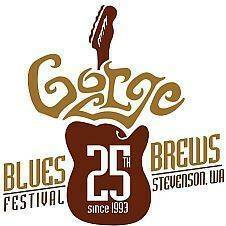 Mark your calendars now for Friday and Saturday, June 22-23 when Gorge Blues & Brews Festival hits the Skamania County Fairgrounds in Stevenson, Washington. We will celebrate 25 years of musical genius, award-winning craft brews, and fabulous food in the spectacular setting of the Columbia River Gorge.